It handles up to 12 audio channels playable in a loop mode - loop machine way - or in a single shot mode - drum machine way. 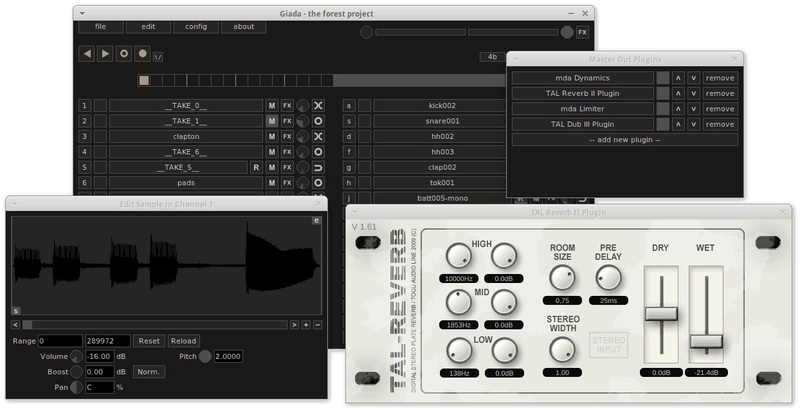 Giada aims to be a compact and portable virtual device for Linux (and maybe for Windows and Mac in the future) for production use and live sets. Various other bugs fixed and internal enhancements. Various other improvements and bugfixes. Various bugs fixed and internal improvements. Copious bugs fixed and minor improvements. Improved GUI and other minor fixes.